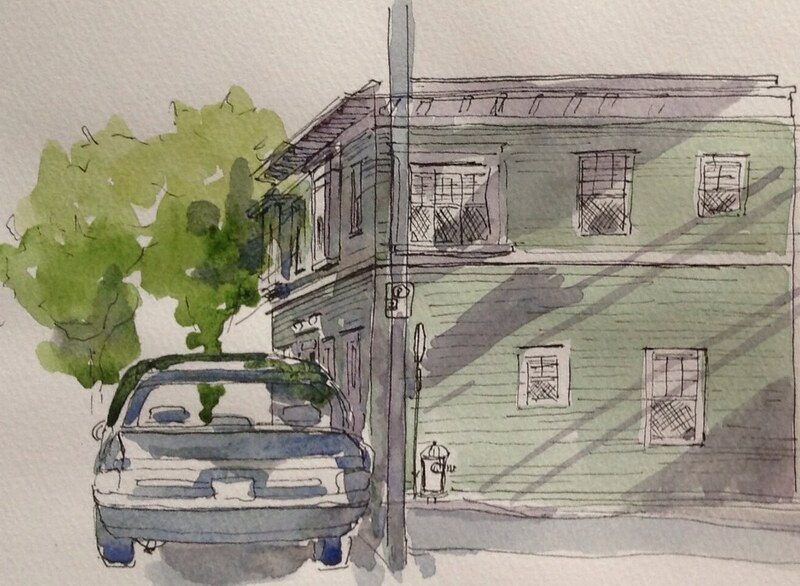 It's especially fun to be out sketching in spring. Even though it's a bit cold and I'm still doing car sketching. The morning shadows can be so interesting. I did this sketch on Greenwood, while waiting for a friend.